The summer season in the Mediterranean is well and truly upon us with beautiful superyachts all ready to host their discerning customers on board. 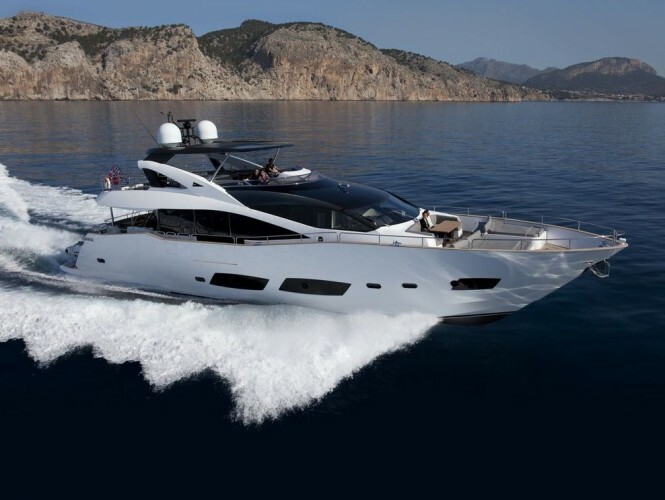 Some of you might have already chosen the perfect vessel for your vacation while some of you might be finding it hard to choose from the huge amount of yachts on offer. We are here to help! CharterWorld’s expert brokers attend the most prestigious boat shows and familiarisation trips around the world in order to be able to suggest you the best charter superyachts on the market, not only in terms of the latest design, technology and appearance, but also based on the quality of service on board, amenities, flexibility and dedication or the crew, and of course the value for your money. Thanks to our experience and independent approach, we are able to provide you with an unbiased opinion and a selection of the best yachts, in the best destination and at the best price. 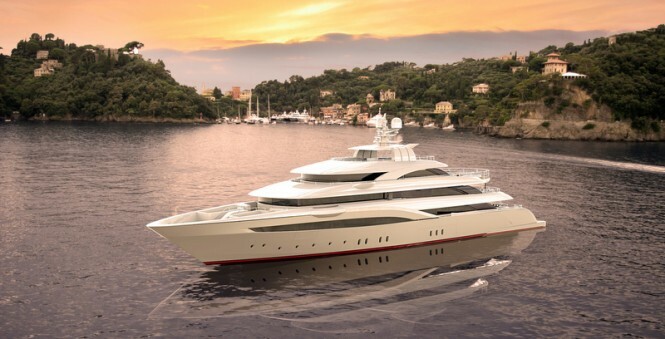 Below you will find our brokers’ latest picks from the recently attended shows in Genoa, Italy and in Nafplio in Greece, however, please feel free to contact us for more information and a full selection of yachts that best suit your needs, lifestyle and budget. A beautiful Baglietto superyacht. our agent fell in love with this yacht and her Fendi design, spacious and light interiors, which are not overcrowded or decorated. The Perfect Italian style: Baglietto plus Fendi and the ideal combination for a striking vessel. “All the elements of the interior and exterior design puzzle make perfect sense and I would not change a thing on board.” as observed by our senior charter broker, Martha Lukasik. 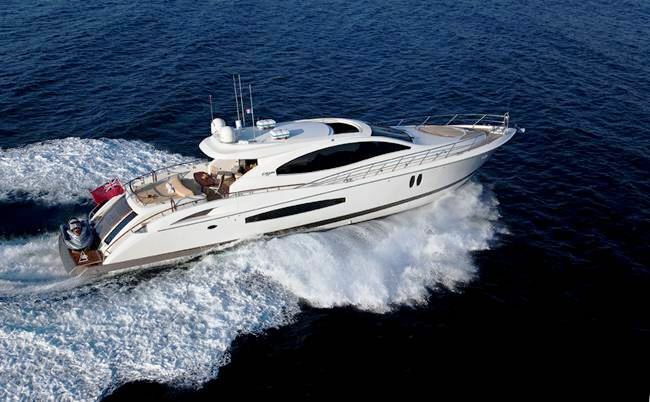 An Azimut 100 Jumbo charter yacht. 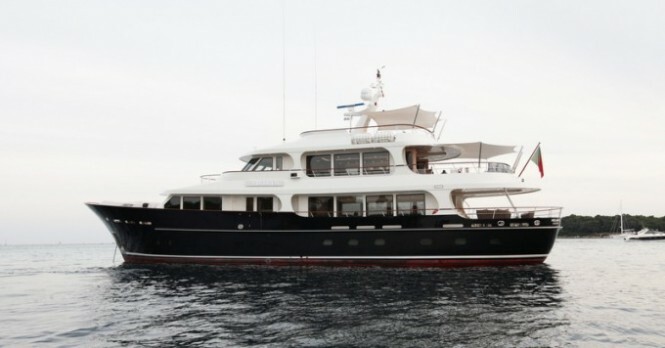 This vessel, although launched in 2008, offers a great layout and lots of entertainment equipment. However, the most important aspect of Cristalex is her crew who makes her an ideal choice for vacations. Captain Cesar is a “yes” captain and he will handle even the most demanding clients. Chef Odile won the 3rd prize in the popular chef competition at the show and our agents had a fantastic lunch on board. 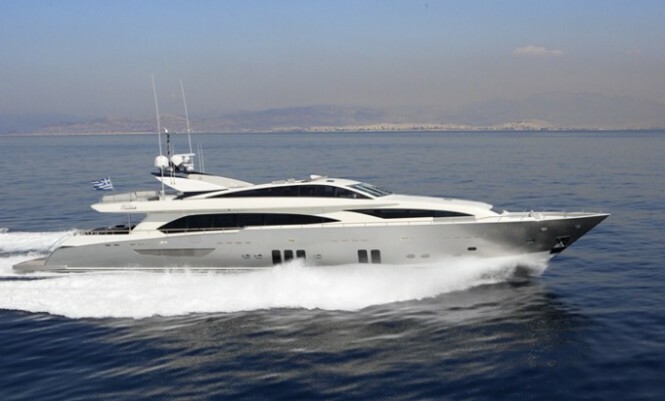 A striking Sunseeker 155 superyacht and the older sister of the brand new AVK Princess. 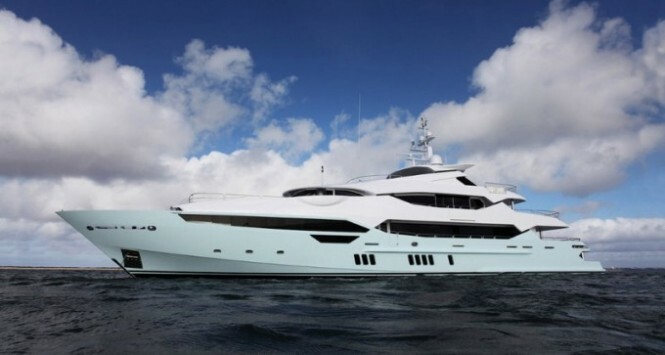 While built by Sunseeker, she was designed by the Owner himself and magically changed into a stunning and a unique vessel. Stepping aboard it is obvious that the owner dedicated a large amount of his time and resources to the interior design, which is reflected in her interior. 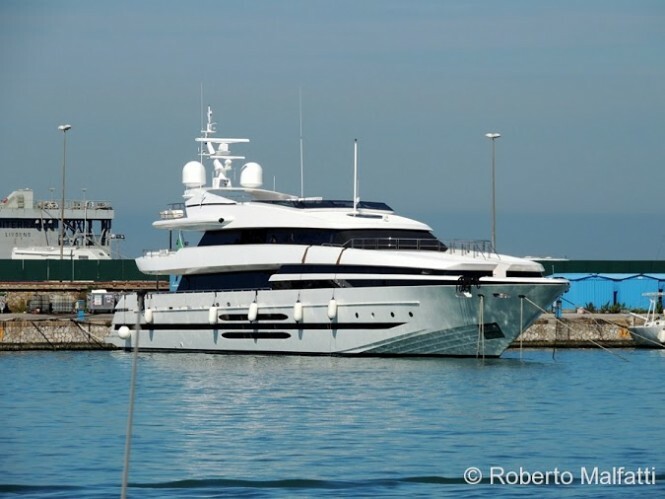 BINA, ex Kimberly II was built by the Italian shipyard Mondomarine and her new owner invested a huge amount of resources into her recent refit, where you can hardly recognise the vessel. “I would say its one of the best refits I have seen. Yacht looks great and now represents a perfect option for guests who like light and modern Colonial Beach House theme, with splashes of colour and just touches of dark wood,” observed Martha Lukasik. BINA has a professional and highly-skilled Greek crew onboard where Captain Kostas and Chef Nikos have been working together for many years, making up a great team. There are also two English-speaking stewardesses offering an impeccable service on board. 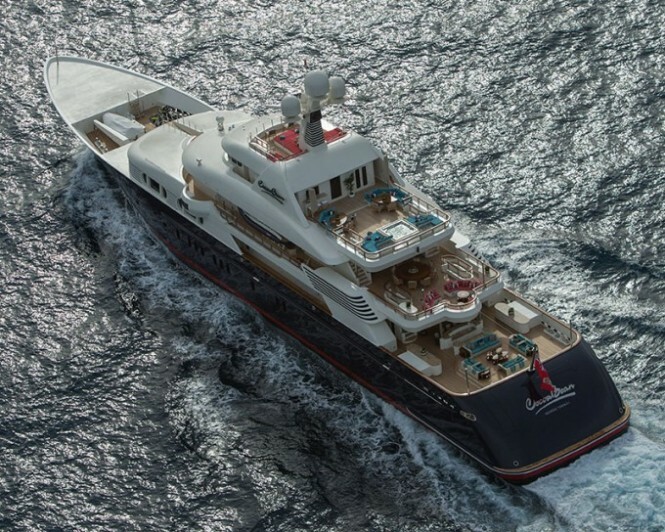 A striking and popular charter yacht built by Oceanco and refitted a number of times, with the latest refit in 2015. She is yet another example of a yacht that can go thru a magical change and look as good as never before. 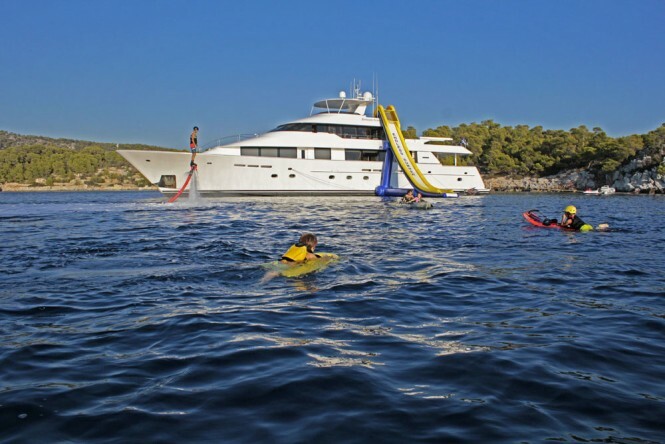 Lazy Z is an ideal charter yacht with outstanding charter crew, great charter layout and an incredible selection of water toys and entertainment onboard. 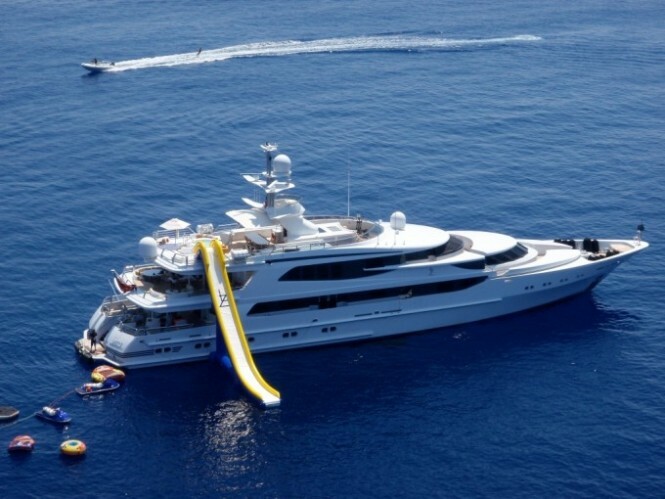 The crew is able to launch the slide within 15 minutes, which would normally take other yachts about 45 minutes. The crew on Lazy Z is all about making charter guests happy and ensuring they are having the best time onboard. Your charter holiday aboard LAZY Z is a guaranteed success! It is one of our agents’ favourite boats overall! The yacht offers an unusual layout, which our agents find attractive, where guests can enjoy the fact that all spaces are very well divided into smaller ones creating nice and cozy atmosphere while not feeling too overwhelmed. Only the main saloon has an open-space layout. Cocoa Bean offers great inside and outside deck spaces on all levels and a fabulous beach club. 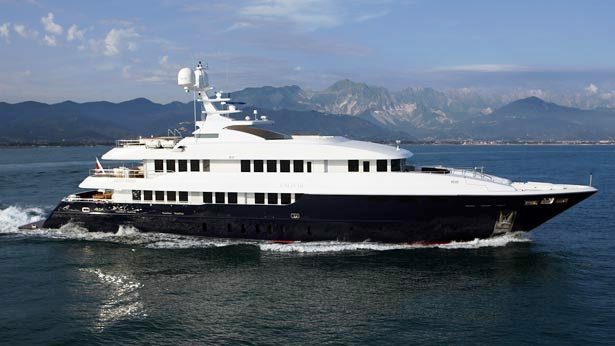 Also built in Italy by Cantieri di Pisa, Balista offers a great layout and excellent performance. She was the winner of two important awards at the show in the Chef’s competition as well as for exceptional service. 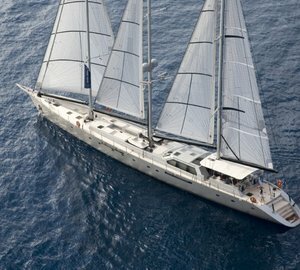 Her layout includes elegant accommodation for up to fourteen charter guests, including a fabulous full-beam master stateroom. Launched in 2013 by Lynx Yachts, Heliad II offers an excellent combination of classic space and volume with modern décor and amenities. She is serviced by a very keen and knowledgeable crew with a talented Chef on board. There are five beautifully appointed cabins on board, with a fabulous owner’s suite on the main deck equipped with a large private bathroom and plenty of great storage space as well as a walk-in wardrobe. A custom-built superyacht by Mulder Shipyard in the Netherlands, SOLIS is an exciting new yacht on the charter market with ultra-modern design, very light and open to the exterior throughout. She was the winner of the Chefs’ competition in its category, so guests can expect not only impeccable overall service onboard, but also mouth-watering custom-made dishes. 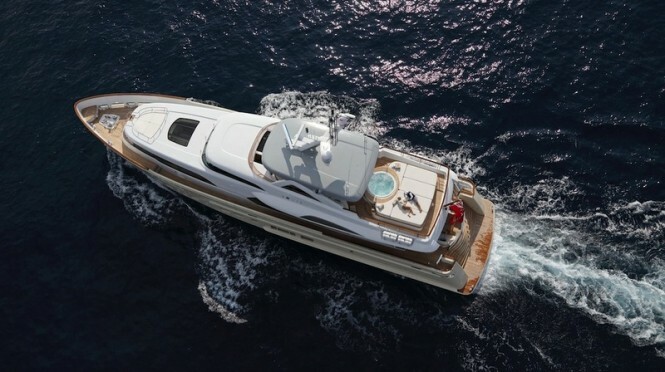 Built by Lazzara, the LSX Quad 75 motor yacht LIZZI is a very nice performance yacht with plenty of space for entertainment, relaxation and socialising. She offers fabulous equipment for her size, including a good range of water toys. This speedy boat is great for Mediterranean island hopping or moving from port to port in style and at no time. Another fabulous Mondomarine yacht with excellent young and talented Chef onboard. The yacht and crew have exceeded our broker’s expectations. Her interior design is modern yet very comfortable and creating a relaxing ambiance onboard. 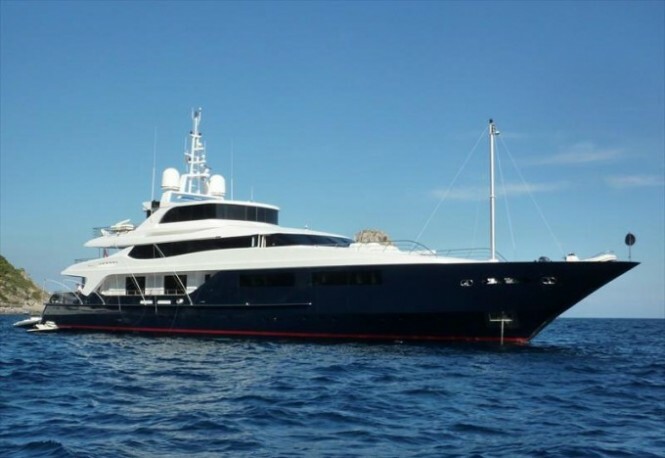 The crew onboard is very professional and they have welcomed onboard important guests, celebrities as well as royalty since her availability on the charter market. Christos, the chief steward has a large amount of experience and is one of the best stewards in Greece working on larger yachts. Chef Stelios can create some real magic in the galley, so if you are looking at chartering this vessel, be prepared for some true pampering when it comes to the cuisine onboard. He was awarded one of the best 20 chefs in Greece and received plenty of experience including training at a 3 Michelin star restaurant. Although an older yacht, with classic lines on the outside, SUNCOCO is a real gem when it comes to her on board spaces and interiors. Once you step onboard you will be taken by surprise thanks to her full refit this winter. “SUNCOCO looks impeccable. You will feel comfortable and relaxed and will be served by an outstanding crew. I love working with this crew,” Nick describes the yacht. This yacht is new to charter. She looks elegant, clean and comfortable. Her talented Chef trained in New York and can create amazing dishes for charter guests. 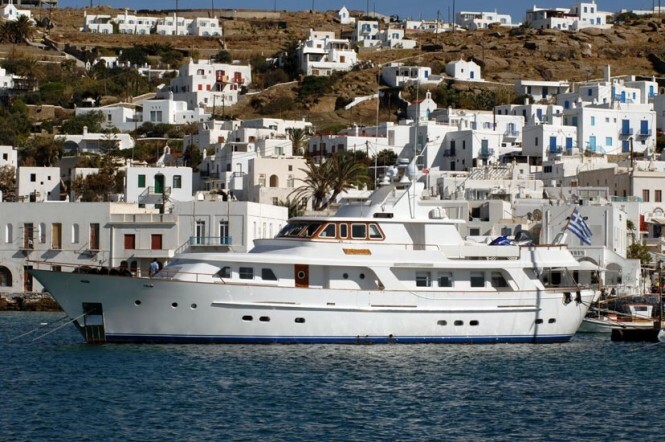 She is an excellent option for clients who wish to charter in Greece but they are not keen on chartering an older, Greek style, yacht. AQUA LIBRA is ideal for Brazilian, Argentinian or Italian clients who like a modern, sleek, elegant and minimalist style. Owner added a bit of personal touch to the interior design making this yacht stand out amongst other Sunseeker vessels. Launched in 2015, O’PARI 3 is the largest yacht to join the Greek charter fleet, offering huge decks and great volume throughout. 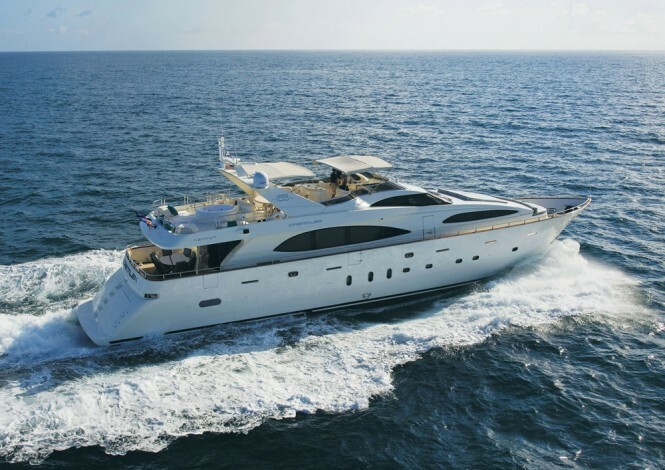 Our broker was particularly impressed by her upper private deck with a large VIP stateroom and huge beach club fantastic for enjoying the selection of water toys and the Mediterranean lifestyle on the water. 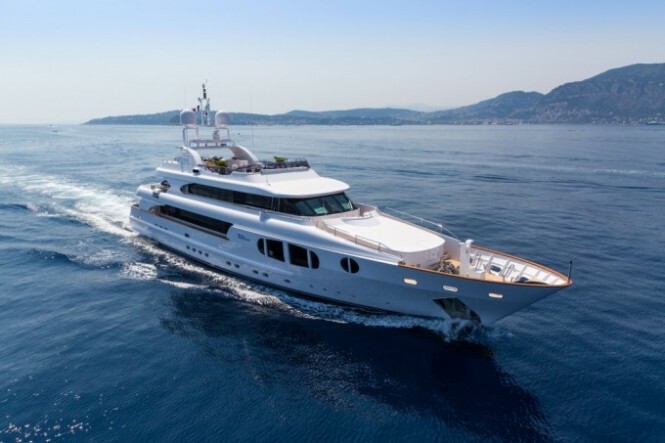 She is a beautifully refitted yacht (2016), offering flexible accommodation, which includes a very clever convertible upper deck cabin and sky lounge. Her crew is highly experienced and professional, ensuring guests have an unforgettable time on board, with plenty of fun and adventure along the way. Please contact CharterWorld - the luxury yacht charter specialist - for more on superyacht news item "Top Luxury Charter Yachts for Summer 2016 by our Expert Broker Team at CharterWorld".